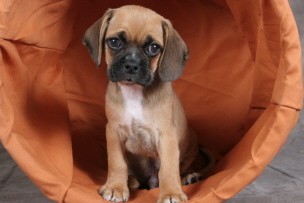 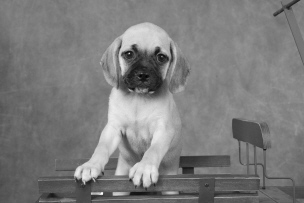 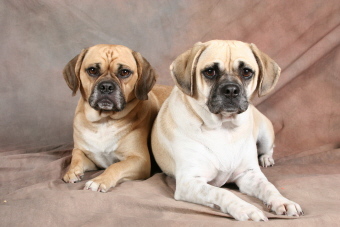 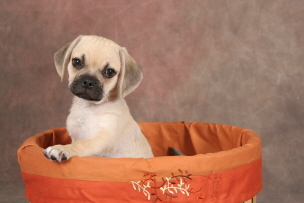 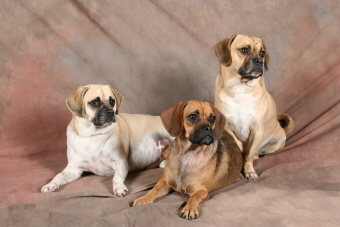 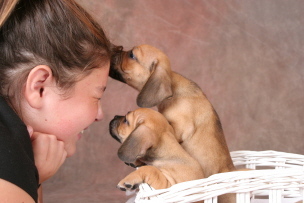 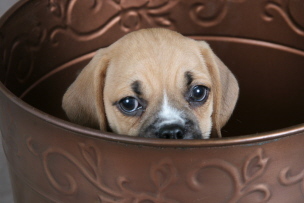 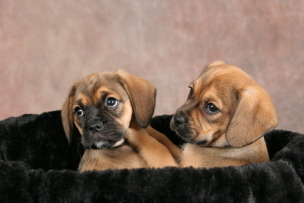 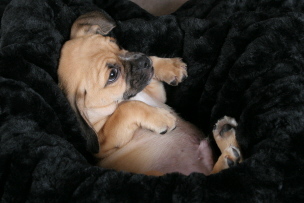 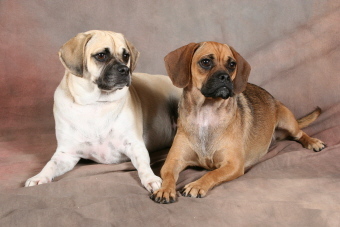 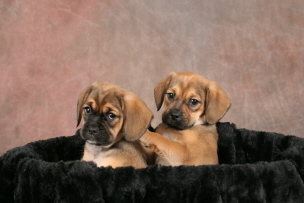 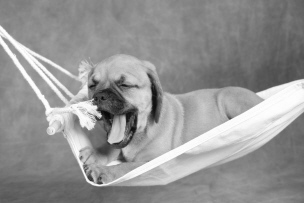 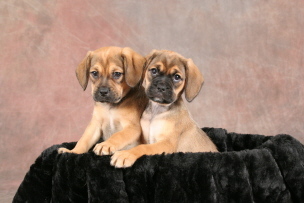 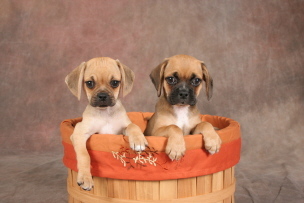 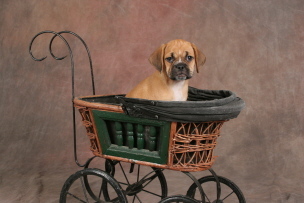 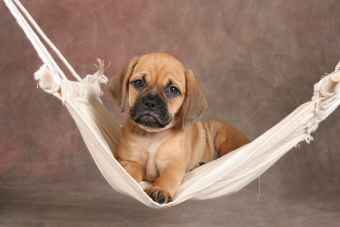 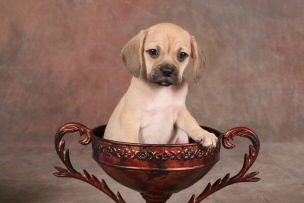 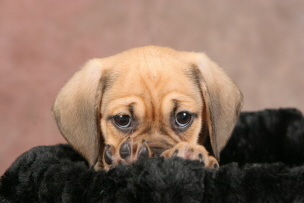 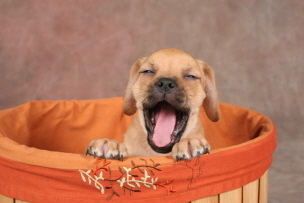 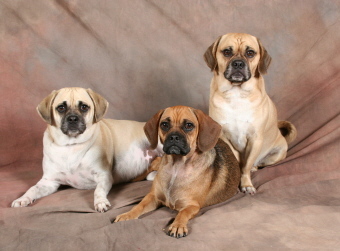 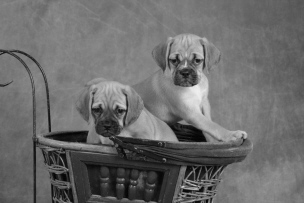 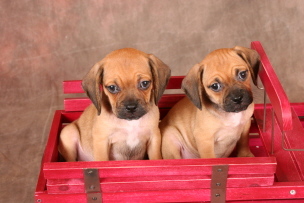 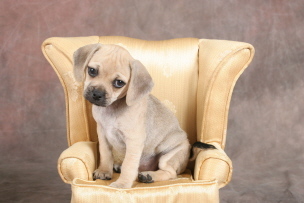 According to a report on November 3, 2005 edition of The New York Post, one of the most popular dogs for families now is the "Puggle,"
account for 50 percent of all mixed-breed sales. 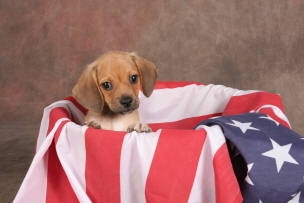 Pet stores across the country can't keep them in stock! 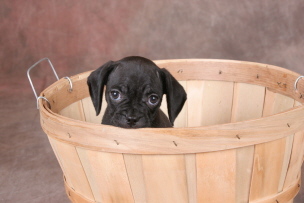 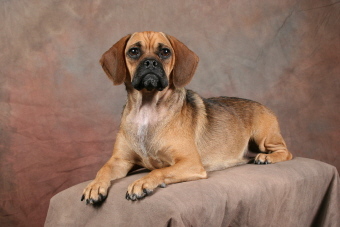 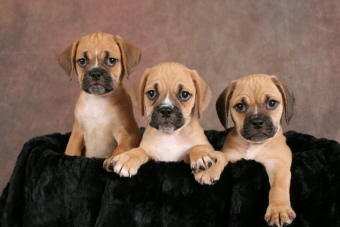 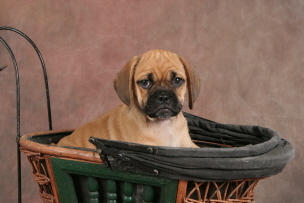 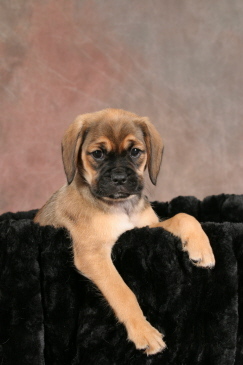 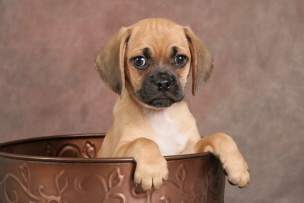 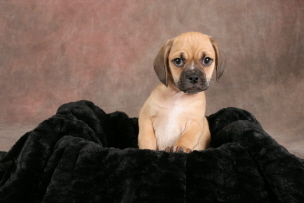 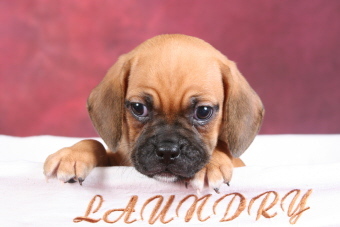 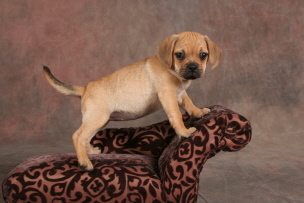 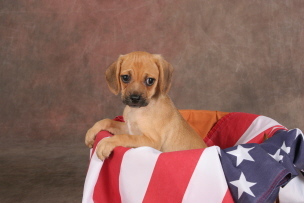 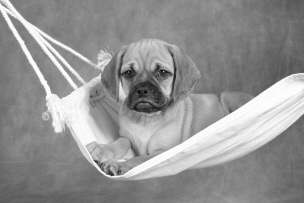 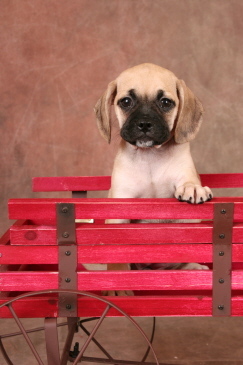 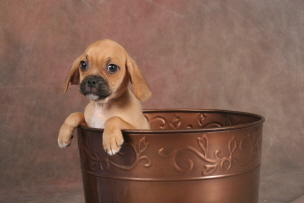 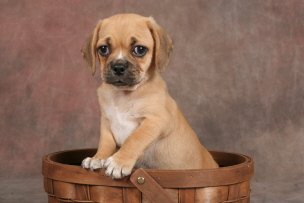 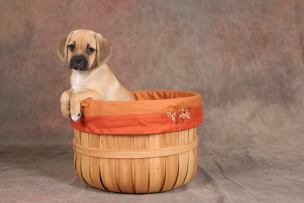 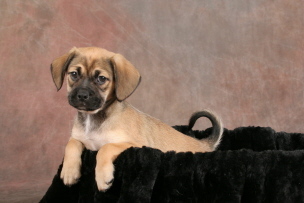 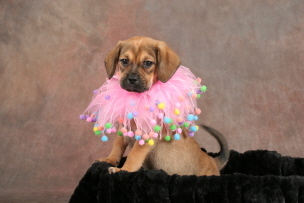 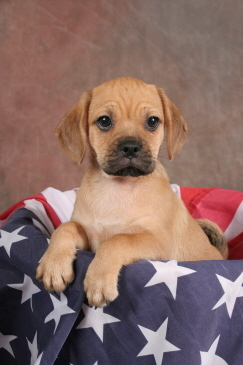 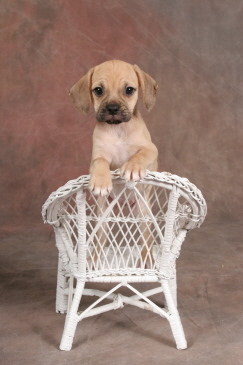 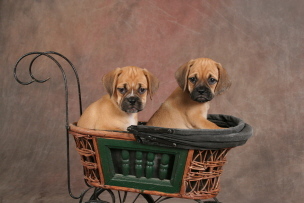 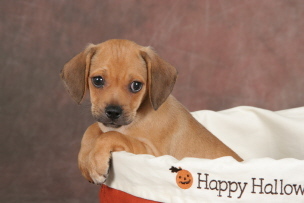 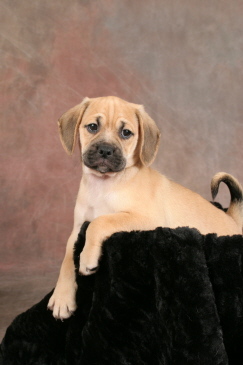 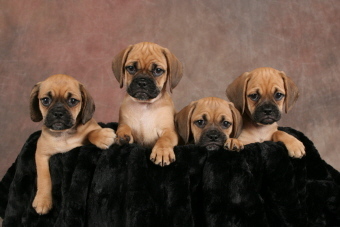 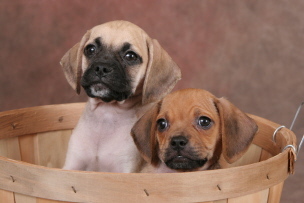 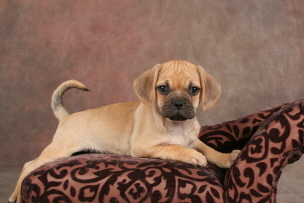 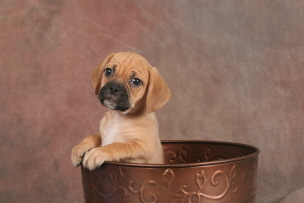 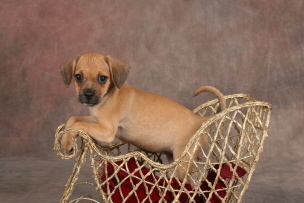 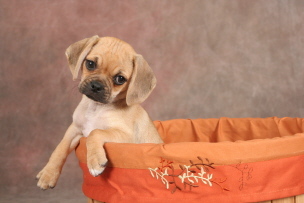 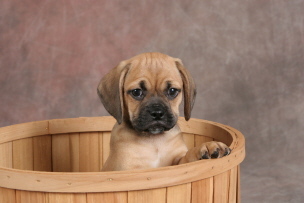 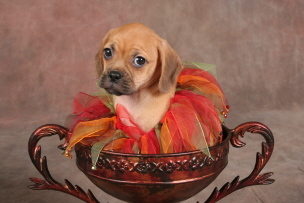 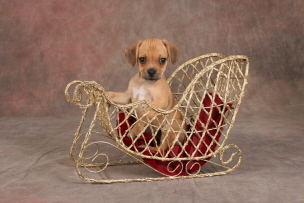 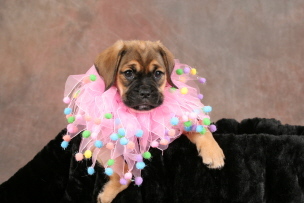 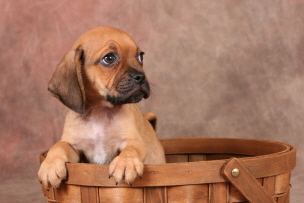 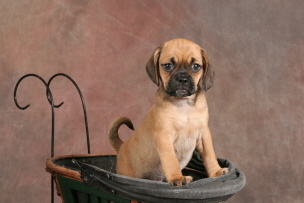 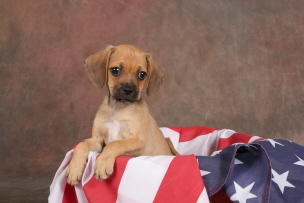 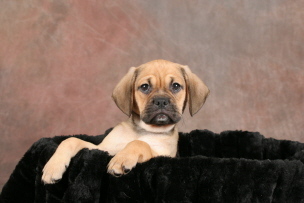 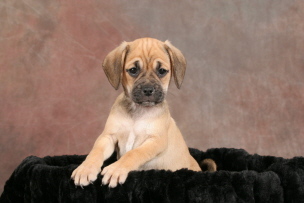 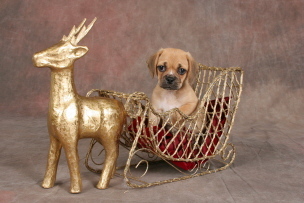 Enjoy my PUGGLE PORTRAIT PAGES.